Lovely looking hull with pleasing lines. She appears to have been wonderfully looked after. This Hans Christian interior is beautifully crafted and is both practical and pleasing to the eye. The current owner appears to have looked after her exceptionally well. The joinery looks amazing, she smells lovely and there is so much attention to detail as you will see from the photos. Excellently laid out, beautiful wood, yet very light and airey too. Hans Christian Yachts are renown for pure quality and for producing the ultimate cruising sailing boat. If a beautifully crafted blue water sailing boat is your prerequisite, then if you come and look at this Hans Christian 41T you will think you have died and gone to heaven. The pictures and video that will shortly follow will show you how delightful she is. 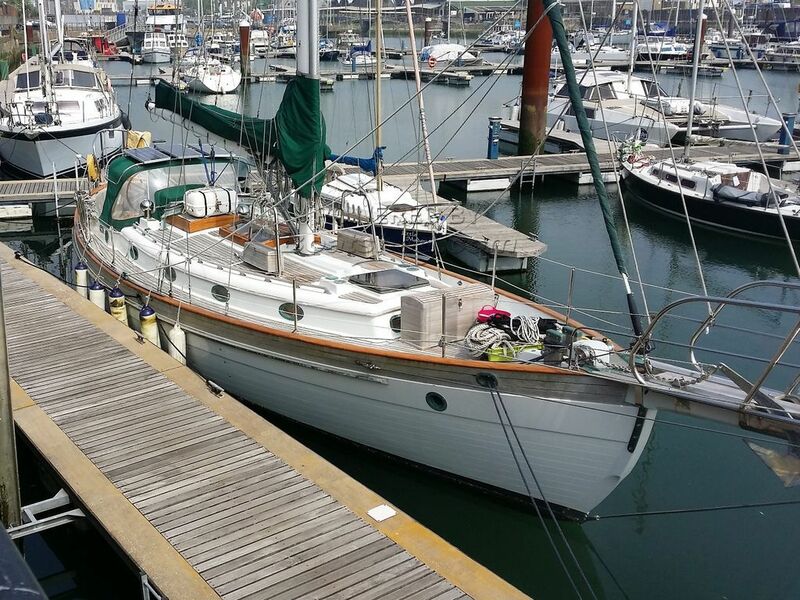 Her caring owners have been meticulous in the way they have sailed and maintained this fine yacht. She has such beautiful lines and has a fabulous sailing record. However she looks stunning. I wish I had the funds to buy this fabulous yacht - if you do then come and see for yourself because this lady is definitely worth it. A brand new one with this spec would cost over £500,000. This Hans Christian 43 Telstar Version - Blue Water Cruiser has been personally photographed and viewed by Suzzanne McDonald of Boatshed Kent. Click here for contact details.